For Luxury Bathtubs, Hot Tubs and Water Accessories | If You Like A Good Soak You Have Come To The Right Place! Summertime can be such a boring time for kids if they are left with nothing to do. Some kids end up staring at their computer screen or playing video games the whole day. While this can be fun and kids are supposed to have fun during the summer, this could also lead them to become inactive, suffering from a bad case of eyestrain, with your air conditioning bills soaring as they stay indoors the whole day. The good news is that the kids will still be able to cool down and add some activity during the summer with the help of waterslides and inflatable pools. Water slides are ideal for bigger yards, while inflatable pools are best for smaller outdoor spaces. Inflatable swimming pools cost nowhere near as much as regular swimming pools and they are also convenient in that can easily be deflated when the space they are taking up is needed for whatever purpose. The best ones to get for small children that are just learning how to swim are inflatable kids pools for paddling. Compact in size, most of these are available with really fun designs like colorful, whimsical patterns or cartoon characters such as Sponge Bob SquarePants. There are also pools that have some additions such as water sprayers. You could further boost the enjoyment of your kids by getting some inflatable items like balls and swimming pool float toys in the shape of animals. There are also some pools that are sold with shades that are sure to keep your kids protected from harsh UVA and UVB rays. Allowing your kids to swim in a pool is a great means of educating them about safety in water, but do remember that they will be needing adult supervision the whole time they are in the pool. Inflatable swimming pools are also available for adults and children that are older. Varieties of these pools range from adult size to ones that have sturdy inflatable slides, otherwise known as inflatable above ground pools. Most of these pools are big enough for the entire family. Of course, those that have a lot of outdoor space also have the option to use an inflatable water slide instead, otherwise known as a blow up water slide. In buying your inflatable pool, remember to first consider the size of your outdoor space, as there is no sense in buying an inflatable pool or slide that will end up to be too big for your backyard or garden. Also check the quality of the pool and make sure that it will last your family many uses. Check for quality fabric and fortified layers. Better yet, make sure that the inflatable pool comes with a good warranty and a repair kit so you will be able to repair the pool if it gets punctured or damaged in some way. Hot tub parts are the very components that make up a tub and ensure that everything works as they should. Among these parts are pumps, jets and heaters, and these hot tub parts and supplies may be purchased from local retail stores or online shops. These 3 parts are vital to the proper functioning of hot tubs. The purpose of a hot tub water pump is to get water flowing into the hot tub, and this is done with the help of jets and motors, with the motors working to boost the pump and get it to get water through the jets. In turn, the jets then propel water into the hot tub. When looking for pumps of good quality, keep an eye out for something that will allow you to select between 2 different speed settings. With this, you will be able to save money on electricity. At the same time, the bather will be able to enjoy whichever water pressure he or she personally prefers. As the name implies, a water heater is the very mechanism that warms the tub water. Your hot tub’s heater can either be run by gas or electricity; one works just as well as the other. Just as with heaters used in homes, the majority of heaters for hot tubs are able to detect the water’s temperature, then leave it at the temperature as set by the bather. One good idea is to go with an affordable water heater, or at least one that will allow you to efficiently make use of energy. This helps save money in the long run. When we switch on our hot tub, we see water being propelled into the unit in intense streams. This is the hot tub jet doing its job, and these streams of water can be very soothing when they give the body a sort of “massage” while underwater. Some manufacturers of jets and hot tub cover parts actually have jets that are specifically fashioned to give users full body massages as they soak in their tub. The price of jets and hot tub jet parts can vary, ranging from very affordable to a few hundred dollars for ones that are made specifically for giving the entire body a water massage. As you buy parts for your hot tub, remember that you want to go with ones that will be able to last for a good amount of time. Look to invest your money in something that will last for a few years, and remember to read the fine print in the warranties of your hot tub parts. It can be very annoying to find out you need to replace a part when all you want to do is soak in your hot tub after an exhausting day at work. The purpose of hot tub filters is to get rid of substances like grease, natural body oils and debris like tiny particles, all of which can affect your hot tub water’s clarity and cleanliness. At the same time, some small debris can get into your hot tub’s filter, leaving it damaged. This is why it is necessary to ensure that your hot tub’s filters are free of debris or particles that can damage it, and this can be done by properly cleaning your hot tub water filters. In doing this, you are sure to extend the lifespan of your investment, allowing you to actually spend less on the maintenance of your hot tub. Many individuals go online to find out how to clean hot tub filters. This can be done by following a routine of cleaning one’s hot tub filters on a regular basis, to prevent the buildup of dirt and substances that can cause the filter to clog. It is ideal to clean your hot tub’s filters about twice a month, but it really should depend on how frequently you use your Jacuzzi. If you have purchased some hot tub chemicals for cleaning your tub, you can simply follow the instructions written on the back of the bottle or packet. Bear in mind that usage for Cleaning Product X may differ for Cleaning Product Y, and this is why it is important to always read the instructions as advised by the manufacturer of the product on the label. In cleaning your Sundance hot tub filters, the first thing to do is take out the filter cartridge, then place it under running water, or wash it using a hose. The ideal water flow for the filter casing is about 45 degrees, to ensure that accumulations in the filter are all washed out properly. Once you are done doing this, get some filter cleaner solution and soak the filter cartridge for at least 6 hours. Finally, rinse the cartridge and place somewhere safe to dry. Bear in mind that using any means to dry the cartridge artificially can lead to filter damage, so best steer clear of using a blow-dryer to dry your filter cartridge. Cleaning the filter cartridge too vigorously can also damage it, and so it would be best to exercise care in cleaning it. You could lengthen the lifespan of your hot tub filter by keeping your hot tub water at a certain ph. Still, it makes sense to keep a backup filter, for if the other one has just been cleaned and you are waiting for it to dry, or if one filter is damaged. A hot tub filter is meant to be used for about a year, and yet the real lifespan of a filter really cannot be determined, especially as some people use their hot tubs more than others. Just the same, you will know that your hot tub filter needs replacing when you see some visible damage on it, such as a tear or a crack. Other signs to keep an eye out for are inefficient water flow rate, or poor overall water quality. These are absolutely necessary to ensure that water-borne bacteria do not grow in your hot tub water. Using hot tub chemicals also ensures water clarity. These chemicals are easy to use, and an array of methods and treatments are available for keeping your hot tub water pure, clean and crystal clear. A lot of homeowners tend to forget the importance of having these in their bathroom, but towel racks, rings and bars are actually very useful and cool hot tub accessories. While it may not be necessary to have all 3 in smaller bathrooms, any of these 3 can be very convenient to have, so you or your guests will not need to leave your clothes or towels on a chair, or on the floor. For those that have seniors or children or disabled individuals in the home, safety rails are essential. These rails ensure that accidents are less likely to occur in the bathroom, as it can be very hazardous to attempt to get out of the tub, especially for those that find it physically difficult to do so. These are available for purchase in varying sizes and materials. These are among the fun hot tub accessories available on the market. Hot tub hammocks are just what the name implies: hammocks for hot tubs. These appear as hammocks that will leave your body submerged in water. Lying in a hot tub hammock will allow you to relax your back while enjoying the hot water at the same time. Hot tubs are best covered when not in use. Doing this ensures that no leaves, insects and other debris end up in your hot tub. Apart from ruining the appearance of your tub water, insects, leaves and other debris can leave the filter clogged and damaged. Also, in covering your hot tub, you will not need to get debris out as much, and this spares you of the hassle of using more cleaning chemicals more often. All of these benefits save you time, energy and money. Hot tub covers are lightweight, durable, tough and available in an array of designs and materials. Finally, you can maximize your enjoyment of your hot tub with hot tub spa accessories like a retractable canopy, which can offer some shade when needed, but can be retracted on days or nights when the weather is more agreeable. A lot of people dream about having their own built-in swimming pool they can use anytime they want to. What usually prevents most people from having one installed in their backyard is the price. Some people might be surprised to find that inground pool prices do not have to expensive. There are several products sold as kits to lower the overall cost. One online company offers a kit for about five thousand two hundred dollars. This package includes the galvanized steel walls needed to assemble the unit as well as all of the hardware. The inground swimming pool prices for the kits do not include labor and installation. The labor can be completed by the homeowner if they are skilled in construction. A kit does include the complete manual on how to properly install and use the pool so this can also be done by the homeowner. These packaged pools come in several different shapes so people can choose a style they would prefer. The inground pool prices will be higher for larger sized items, with some of the largest structures measuring twenty feet by forty feet. The shapes these items come in include the basic rectangle, the hexagon, the kidney and the oval. In addition to the structures created using steel walls there are also units using fiberglass. Fiberglass inground pool prices will also depend on the size and style of the product. These pools are easier to setup because the fiberglass is created as one continuous piece. To complete the installation, the filter and pump need to be connected to keep the water free of debris. Most of these pools can be installed in a single day with one online retailer offering the total package plus installation for twenty thousand dollars. When trying to figure the inground pool installation prices it is hard to separate the fee for labor from the price of the product. Most companies provide an all-inclusive fee or the option to purchase the pools without installation. People can get free estimates on what the total cost would be by using some of the online calculators provided on the merchant websites. These are basic drop down menu forms where people choose the style, size and materials they want and then enter their personal information about where they live. For those individuals who always thought pools were luxury items they could not afford, the calculated prices might just fall into their range of affordability. For gardens any bigger than a postage stamp, a garden hose is essential. Well watered and in full bloom a garden is a homeowners pride and joy. However, all it takes is a few hot dry days to turn a green oasis into a brown dustbowl. Those who take pride in their garden will want to prevent this, and make sure the garden can be watered even when it does not rain. Watering plants with a watering can is possible but can be very time consuming. A direct delivery system, such as a hose, is a much more efficient water to deliver water to plants and keep a lawn green. The type of hose needed will depend in part on the size of the garden. Small gardens can be watered using a standard size hose, but a garden is large, or particularly long, a bigger hose may be needed, for example a 100 ft garden hose. Hoses need to be stored with care. They should not be left in a heap on a garden path or shed floor and just picked up and used when needed. Hoses which are not correctly stored can develop kinks in the hose line which over time causes weaknesses and leaks. Prolonged exposure to strong sunlight can also cause deterioration. The correct way to store a garden hose is on a reel. This keeps it in regular loops and prevents kinking. Hoses can be heavy so an automatic garden hose reel may be a good investment. Watering a garden is something that can be done in a variety of ways. It can be done manually, or it can be done automatically by connecting a hose to a sprinkler system. Attachments can be bought to create different styles of water projection, such as spray or pressure jet. It is important to use the best garden hose nozzle possible to suit the job being done, otherwise the water pressure may not be right. Hoses can also be used for other tasks around the garden or home, for example to wash the car or driveway. With pressure jets attached they can be used to clean brickwork, wash out guttering and carry out a number of other tasks around the home. Gardens are there to be enjoyed. To enjoy them at their best they need to be kept in good condition. Making sure a garden is properly watered is one of the best ways to keep it looking attractive. A lot of people would like to have their own private swimming pool – a place where they can relax or have fun with family and friends. However, some pertinent issues might get in the way. For instance, space constraints discourage most from making their dream a reality. This is especially true for urban dwellers, but even those in the suburbs could face this problem as well. People have a notion that swimming pools have to be wide and spacious but this is not quite right. There are plenty of different configurations, each suited for a variety of situations. Homeowners may choose to build a lap pool to overcome the limited space. This type of pool is got its name because it is perfect for those who want to keep in shape doing laps. Their width can usually accommodate just one or two people at a time, but their length can go on quite a few meters. The majority of backyard pools keep a basic rectangular shape. Others have irregular shapes though they still keep the main path straight and narrow. A backyard swimming pool can be constructed behind the house, often with room to spare. There are many different thin pool designs to choose from. Some have sharp edges while other feature rounded corners. They can be extremely long or relatively short, depending on the available area. Some are plain while others are ornate, with statues and fountains pouring water back to the pool. The size, materials, and decorations will significantly affect the cost of building a home lappool. It can go from just a few thousand dollars up to much more, depending on additional details such as lights, finishing, and adornments. A home length pool can also be used for therapy for an injured household member to hasten recovery. Athletes like having one in their house because it enables them to have an effective whole body workout at any time. Swimming is a low impact exercise that is often recommended for cross training because it’s easy on the joints and works every major muscle group. Regular people can also swim regularly to keep in shape. It is much kinder on the knees compared to other activities such as running and other sports. Of course, the pool can also be used for simply having fun with loved ones. With all its benefits and convenience, building a lap swimming pool is truly a worthwhile investment. Pool investment is also worthwhile, especially if you are thinking of selling your home in the following years as it will add good value to a property as it is a great selling point. 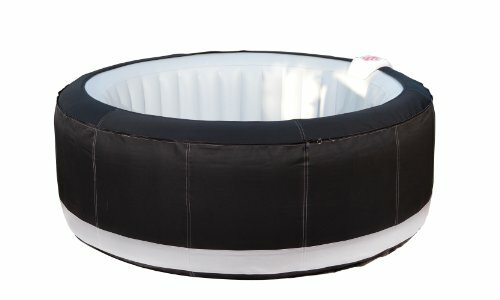 For those that don’t want to spend too much money, there are portable, inflatable fitness pools available. Just keep in mind that the lap length pool width is very important as the size of the training pool for two people can vary greatly, especially if you are thinking about constructing pools in limited spaces. Buying a lap pool is a great way to get physically fit and will increase the value of your property. Go for it! Most people wish they had a hot tub in their backyard, but an inground spa is expensive to install. Even the cheaper inground models are several thousand dollars and most homeowners have to hire someone to complete the complicated installation process. A portable hot tub or temporary jacuzzi is an affordable alternative to an inground spa. They are easy to set up and do not require any special plumbing or wiring. People can simply inflate the product and fill it up with water. The moveable spas can be set up on a lawn, cement patio or wooden deck. They are perfect for any home or cottage and are a great option for renters. People do not have to pay a small fortune for a portable spa; there are many inexpensive inflatable spas on the market. The Spa2Go ATG-1 Portable Hot Tub is available online for $663.50. This inflatable hot tub plugs into a standard electrical outlet and heats up to 104 degrees Fahrenheit. The spa model is extremely affordable but does not contain water jets. A blower agitates the water to give people the Jacuzzi experience. According to a variety of online reviews, most people are satisfied with the Spa2Go model, but some people are disappointed that the portable spa does not include jets and fails to maintain high temperatures for lengthy periods. People who are looking for a luxurious 2 person portable hot tub should consider the PennyBerry portable model. The only downside to the PennyBerry Jacuzzi is its high price. The luxury spa costs $5,995.00. The sturdy PennyBerry model offers seating for two, powerful massage jets, a waterfall, drink holders and built in LED lights. The beautifully designed spa model is available in many stunning colors. People who are looking for the best portable hot tub should consider purchasing the Spa 2 Go Portable Spa with Micro Jets . The spa costs $663.49 and is large enough for four adults. The turbojets pump out the heated water, creating a soothing spa atmosphere. The Spa 2 Go with Micro Jets is a customer favorite because it offers a true Jacuzzi experience for a fantastic price. Some people do not want to invest in a hot tub. They may only want to use a hot tub during the summer months or for a special occasion. People who are looking for a temporary spa can take advantage of one of the portable hot tub rental opportunities available. The rental company will bring the tub to the home and set it up in less than an hour. Hot tub hire is perfect for special events such as birthday celebrations, summer barbecues or bachelor parties. Inflatable spas are a wonderful alternative to an inground hot tub. Someone can purchase a great model and set it up in their backyard area quickly and easily. Those who purchase an expensive portable model can expect it to last for several seasons. The water in a swimming pool needs to be filtered and re-circulated periodically, in order for it to remain healthy. Pool pumps filter and then re-circulate water contained inside the pool. In a way, they are analogous to kidneys and liver in human body. This article offers a crisp guide to swimming pool pumps. Both domestic as well as public pools need to be kept clean. This is done by passing the water through hair and lint filters and then introducing cleaned water, back to the pool. These pumps are high power consuming devices with a wattage that can exceed 2000 Watts for commercial swimming pool pumps. This can be particularity troublesome for commercial swimming pools whose pumps have to operate 24 hours a day during summer months. As a result, pumps that are powered by solar energy, like the ‘Savior-Solar Pump and Filter’ are gaining popularity. Their cost can reach thousands of dollars, even for small pumps. However, once invested in, these can operate at almost negligible costs. Above ground swimming pool pumps operate by gravity feeding the water to a pump that is placed above the water level of the pool. The filtering systems in above ground pumps can be of three types: sand, cartridge and diatomaceous. Sand filters work well with largest sized impurities while diatomaceous filters work well at filtering impurities of smallest size. The latter can become a victim of loss of water flow with increased usage. An ideal pool pump should consume less power and have integrated thermal control. Pumps that have variable motor speed offer greater opportunities for power saving. Also, these should be controllable such that the filtering and recycling speed can be reduced when the pool is empty and increased when it is full. The outer body should be made of non- corrosive and water-proof material. The power cord should be long enough; ideally, a 6 feet long power cord serves well. If you are buying your pump from outside of your home country, make sure to check voltage specifications. A pump rated at 110 A.C. will not function in a country with 220 A.C. as the standard voltage of power supply. For safety reasons, the on/off switch should be protected in a rear mounting arrangement. Lastly, the strainer basket should be of industrial size and should allow discharge in various orientations like vertical, horizontal and angled. Companies like Pentair, Intex, Polaris, Savior and Hayward make some of the best swimming pool pumps. Each pool pump is covered under manufacturer’s warranty. Swimming pool pumps can be tricky for a first time buyer. Make sure to research well before you go to a store and compare quotes from several dealers before buying.